Though I am writing this work behaviors article for newbies at work, deep inside me cannot help but feel it will be a good reminder for even the veterans at work. Bad habits creep into our work all the time. Our work behaviors when left unchecked, will make us unproductive. What are the simple behaviors that will make your colleagues like you? What behaviors will make them feel you are a breeze to work with? As long as you are not lazy these are very simple behaviors that you can implement at work immediately. Look at your to do list and tell yourself, you can execute these work behaviors now. The first of these simple behaviors is to have a work plan. A good work plan or action plan is one that details what needs to be done, when and by whom. Even if the project leader does not have one for the project, you should personally have one for all the projects you are involved. Assuming you are involved in more than one project, you need to prioritize your work. Know what needs to be completed by its deadline. Your work affects those who are on the team. One of the many good behaviors is to make sure the important work is completed on time so that the rest can carry out their duty smoothly and successfully. That contributes to the team’s success and people will know you have work behavior that are reliable. They will begin to like you. The problem with a lot of executives is that they talk more than do. These people tend to confuse busyness with achievement. They feel the more they talk the more they have done. When in fact all it has accomplished is a waste of time. I personally make it a point not to attend meetings that do not have an agenda. And I make sure all my executives make it part of their working behavior to have clear action steps. Talking more than doing is not just limited to meeting times. Do you hang out at the cigarette break longer than needed? Stand around the pantry chatting away when that time can be put to better use? Have you tackled your to do list? I have seen many executives that have a long to do list that never seems completed by the end of the day. Needless to say, these people have behaviors that are talk more than do. If you want your colleagues to start liking you, then start doing more and talk less. One of the many working behaviors that will impress your colleagues is the ability to keep those who are involved in the project at the appropriate time. It is safe to assume that we all work in collaboration with others in order to complete a particular job. Keeping others informed is part of good work behaviors that others appreciate. It allows them to pace their work and know what to expect. They know if your part of the work will be delivered earlier, later or delayed. By keeping others informed you are also managing their expectations. Managing your colleagues’ expectations is also a key work behavior. Part of keeping others informed is also to follow up on next steps. Do you need certain information from others? Do others need certain data from you in order to deliver their part? Was this agreed in the meeting earlier? Then follow up with what is required. There is no need to wait for others to ask before you follow up. Especially when it was already agreed. These are 3 simple work behaviors you can do today if you want to impress your colleagues. Of course, you need to be consistent in these behaviors. Otherwise, all you are doing is trying to hoodwink people into believing you have good work behavior. Learn these and internalize them. Execute them honestly, sincerely and consistently. Before long, people would be singing praises of your new found work behavior. 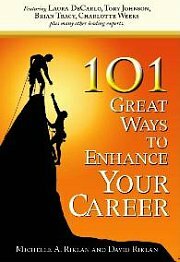 Are you committing career suicide unknowingly? Ever wondered how you can destroy your career with the way you treat people? Rediscovering your career passion is something you confront at some point in your career. Your career is not always on a constant up trend. What can you do? Use these work behaviors to positively impress your colleagues especially when you are new at work.